Mega Sale on Philips Respironics EverGo Portable Oxygen Concentrator at Sleep Restfully, Inc. In celebration of Sleep Restfully, Inc.’s 5th anniversary of the launch of their website the Philips Respironics EverGo Portable Oxygen Concentrator is currently on sale at a price unheard of. In March 2012 Sleep Restfully, Inc. is celebrating the 5th anniversary of the launch of their website sleeprestfully.com. In celebration of this event many sleep therapy and oxygen therapy products have been marked down to prices never seen before. 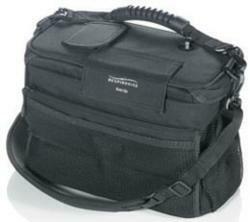 The Philips Respironics EverGo Portable Oxygen Concentrator is a featured sale item. The price is so low that the manufacturer will not let them advertise the discounted price. You must call them toll free at 866.923.2727 and inquire about the sale price. The phone call can save you thousands on this portable oxygen concentrator. Phillips Respironics is the manufacturer of the EverGo Portable Oxygen Concentrator. Their commitment to healthcare dates back to 1895. The EverGo Portable Oxygen Concentrator is the oxygen therapy solution that lets active patients do what they want by giving them freedom from oxygen tanks. The Philips Respironics EverGo separates oxygen from room air, passes it through filters and delivers nearly pure therapeutic oxygen. With two (2) batteries and a carrying case, the EverGo weighs approximately 9.9 pounds or 4.5 kg and with only one battery the EverGo Portable Concentrator weighs 8.5 pounds or 3.8 kg. Freedom for the oxygen patient can be attained by a very lightweight Philips Respironics Portable Oxygen Concentrator. Each battery has a life of 4 hours with a pulse setting of 2. Since there are two (2) batteries, at a pulse setting of 2 you will have 8 hours of freedom. A pulse setting of 6 will allow 4 hours with the two (2) batteries. This is a pulse dose system with a range of 1 to 6. FAA has approved the EverGo for airline travel. The Respironics EverGo DC power cord can be plugged into a vehicle’s cigarette lighter or DC power input. When the EverGo is operating from a DC source, the batteries will recharge. The only maintenance required for the EverGo Portable Oxygen Concentrator is to clean the air inlet filter once a week and the Evergo case as needed. To determine if the EverGo Portable Oxygen Concentrator is right for you contact your physician to discuss your particular circumstances. If you are active and desire a highly portable source of oxygen, the EverGo may be just what you are looking for. If you need additional information regarding the Philips Respironics EverGo Portable Oxygen Concentrator, please do not hesitate to contact Sleep Restfully.